Not only is this the newest hotel in the center of Burlington's vibrant downtown, we’ve got lake view rooms where your window will look like this. It is also a block from the Lake Champlain Bikeway and steps from three different breweries. A classic Vermont country inn in the center of Waterbury, one of the state’s food meccas. John, the innkeeper, is famous for his hearty breakfasts. You also will get to meet a parrot. 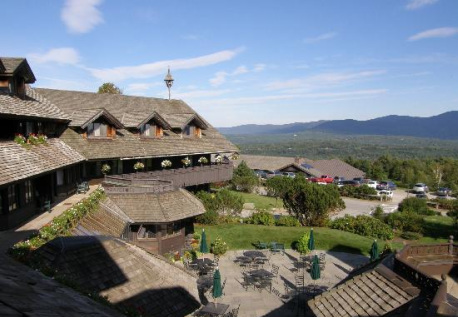 Already renowned for making the hills alive with the Sound of Music and being nestled in Vermont’s most renowned ski town, Trapp Family Lodge took a big leap forward a couple years ago by opening an onsite brewery. 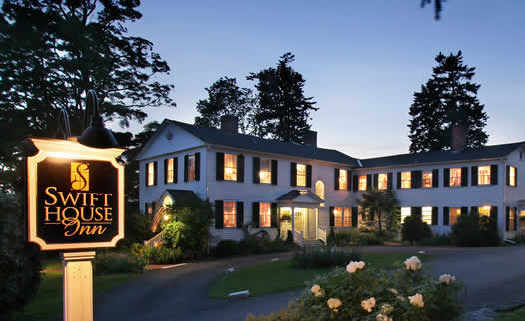 Dan and Michelle run this distinctive inn strategically situated between downtown Middlebury and Otter Creek Brewery. Dan biked across the U.S. in 2008 and might join us for a ride.